Given the current situation at the International Atomic Energy Agency (IAEA) and other UN-related organizations, to which Japan contributes more money than it does human resources, Takahashi said that expanding the activities of the Japan Nuclear Human Resource Development Network (JN-HRD Net) and other similar bodies would increase Japan’s presence in terms of the number of both general staff and those holding important posts. At the IAEA, for example, whereas Japan accounted for nine percent of the total budget in 2017—the second highest—the number of Japanese staff members (specialized professionals and higher) accounted for a mere three percent, ranking 14th. 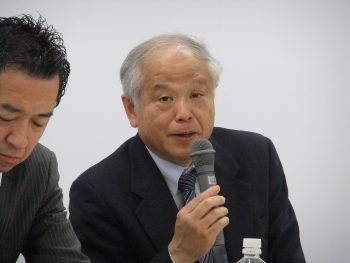 In his message, President Takahashi referred to the dispatch of staff members to nuclear-related international organizations when mentioning that “sharing Japan’s lessons and knowledge with other countries is an important way for it to contribute internationally toward the further improvement of nuclear safety.” Moreover, he said that the Japanese nuclear industry would benefit significantly from the expected improvements in the individuals’ own skills and the building of personal networks. 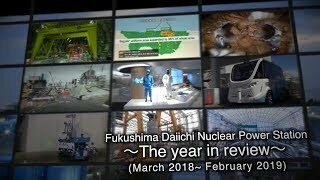 In a question and answer session, one reporter asked Takahashi about the announcement by Hitachi, Ltd., on January 17 that it was freezing its project to construct two nuclear reactors in Wales. In response, the JAIF president said that many fields, not just nuclear, were facing difficulties in exporting infrastructure. 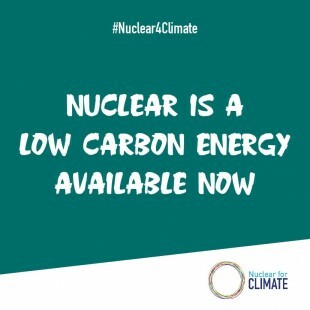 He continued, “Together with enhanced development of human resources, Japan must build new nuclear power plants for it to maintain and improve its existing supply chains. I am very sorry to see one chance for that gone.” In terms of future efforts, he recognized the trend abroad toward more “top sales”—personal involvement by government leaders—as well as risks from delays, and limits on what private-sector companies can overcome alone. Asked about presumed cost savings through the introduction and use of small modular reactors (SMRs), Takahashi described the economies of scale available with larger reactors, although the initial investments might be harder to secure. In addition, speaking about the recent progress in decommissioning, and about any problems, the JAIF president cited the management of waste to be generated by dismantling the reactors.